This post is massively belated- but I still thought it would be a little bit of fun to do so I'm going to do it any way. Also, I thought it would be a nice post to do whilst I get all my blog posts and photos in order. I tag everyone to do this tag, if you haven't already. 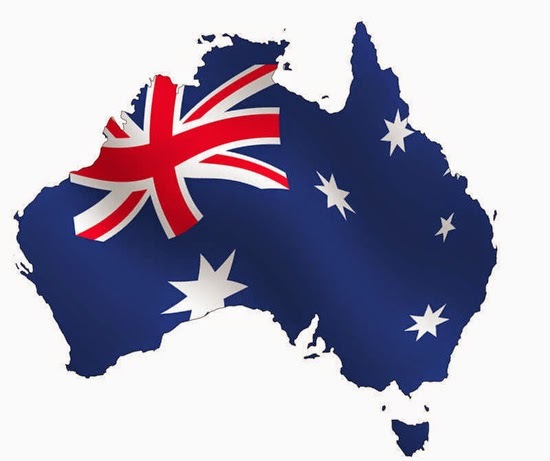 What states have you visited around Australia? What do you order at Boost Juice? Believe it or not, I've never had (or seen?) Boost Juice. Dotti... Maybe. I've never shopped at either but Dotti looks nice. Who is your favorite Australian actor/actress? I don't follow Actors or Actresses so.. I'm not sure who is Aussie and who isn't to be honest. Describe your formal night in high school. Here, we call it the debutante ball and, much to my dismay, I actually didn't participate in mine. At the time I was moving around and completely missed it. The night it was on, I was probably at home, in my pjs eating two minute noodles and scrolling through facebook. Awh. Do you like vegemite? Or how do you eat it? I love vegimite, but only in moderation. I eat it with melted butter on toast or on vita wheats. Have you ever seen or petted a kangaroo? I have seen and petted many kangaroo- my most recent encounter was in Halls Gap, Victoria. Have you ever seen the Sydney Harbor Bridge? Maybe when I was little, but I don't remember it so I'm going to say no. G'day? Not much, but on the odd occasion if I'm talking to a neighbor. Overall, what do you think of Australia? I love Australia. It's my home country, we make awesome BBQ's and have some gorgeous attractions. My only issue is its always relatively cold where I live- I'd much rather be in Queensland! What do you want from your Blogging experience? A royal pain in the... lip?